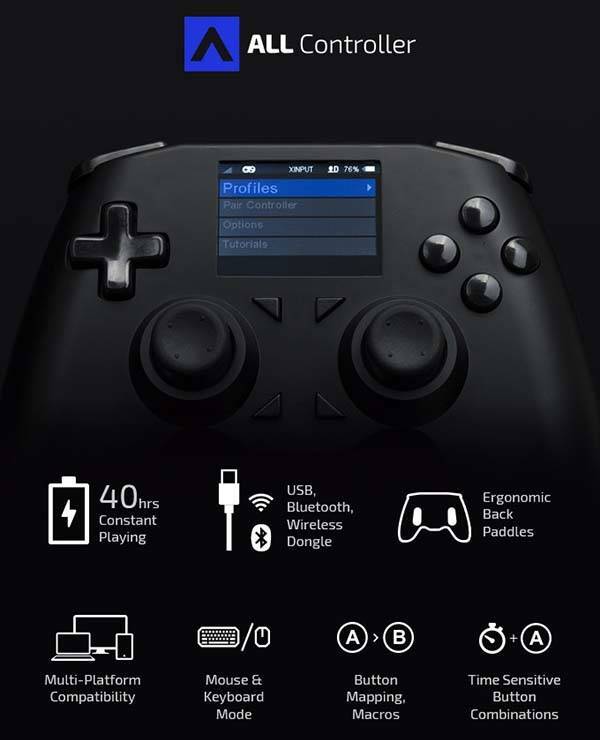 The ALL customizable and universal game controller works with computers, game consoles and mobile devices, and its buttons are programmable. Cool? Let’s keep checking. 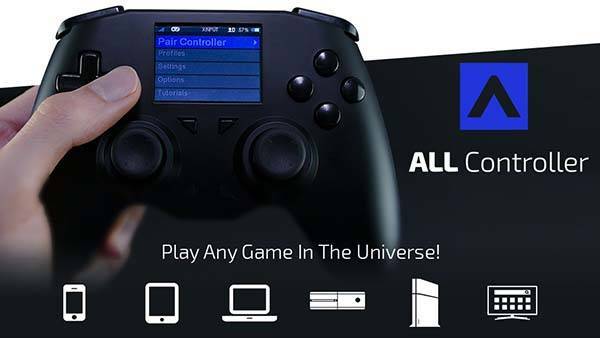 Furthermore, the universal game controller is fully customizable. Using an integrated LCD screen, the ALL allows you to easily configure, modify and tune up to 16 profiles that can be stored in the controller, or you can also program macros and combos for your favorite games, and the joystick dead zone and sensitivity are adjustable for a custom fit. The team behind the ALL is raising fund for the product via Kickstarter. We can pledge CA$55 (approx US$44) to preorder the customizable universal wireless game controller. It’s expected to be shipped in May 2018.